Moments of Mommyhood: Muffin Tin "Sundae"
I'm pretty sure this is their favorite Muffin Tin Meal! 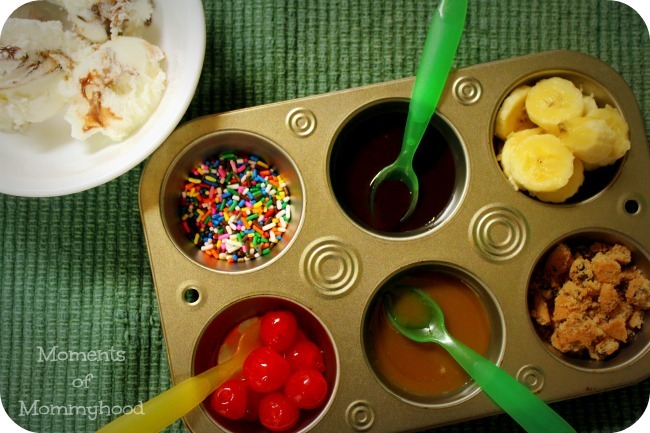 Love your theme, such a great idea to have a sundae bar like this! I must really try this one day. Super cute dessert muffin tin. My girls would love this!